My family home was on a hill. A steep hill. Some of you may remember it. That hill was so steep that my dad’s old VW Golf couldn’t actually drive up our driveway. My parents built a new garage at street level and converted the old garage into a study and playroom. There were 25 steps up to the house and when elderly relatives visited we would put a chair out for them at the halfway point. When my dad had a stroke, the ambulance crew called for another ambulance, just so that there would be four of them to carry him. Then they drove one of the ambulances up our neighbours’ driveway so that they would only have to get down half the steps. One day, a car driven by a drunken hoon came down our street and ended up halfway down someone’s driveway. On the other side of the street, because we were on the high side and it wouldn’t have got that far. 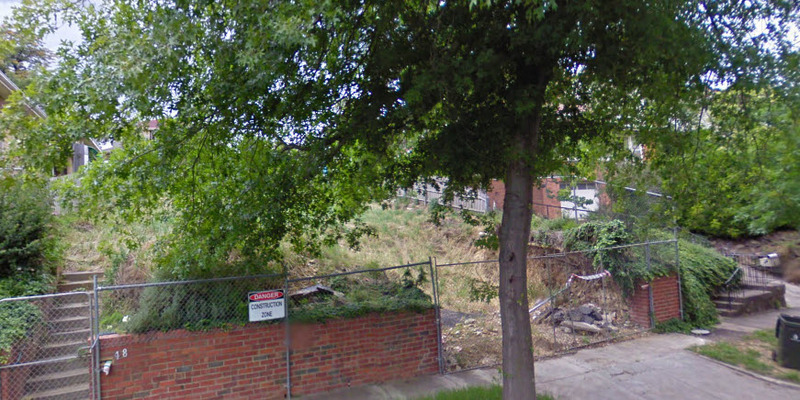 The people who bought the house knocked it down. And the block has been like this for about 5 years now. You can see how steep it was though! The upside was that we had fantastic views. Our neighbours, who had a small upper storey, must have had even better views. And the downside, for me, was that I wasn’t allowed to have a bike. Because of the hills, and because I have always had a pretty crappy sense of balance, and because my mother worried that I was going to die horribly if I had one. She may have been right, on those streets. Also, sports? Not exactly my thing. My brother got a bike the year I was 11, when I went to Germany for Christmas. 1981. I still remember. They bought a VCR too. Anyway, moving on from the bitter disappointment of my youth. A few years ago, one of our neighbours put a bike out on the footpath with a “please take me” sign. So I took the bike to the bike shop and spent an amount of money getting it fixed. Possibly as much as a new bike would have cost. At least a crappy one. But I was going to ride everywhere and be super healthy and lose lots of weight and be fit and a good example for my kids. And the bike had been free. And then I got on the bike. And then I fell off the bike. And I tried – again and again. And I got a personal trainer to try to show me how to ride the bike. And I fell off – again and again. And eventually even she said, um, this is just not working. Which, in hindsight, perhaps I should have expected. Given that I can fall off an exercise bike. So I gave the bike to Fraser and I think he used it twice. And it has languished, ever since, under our carport. Because the girls need bike riding practice, but Fraser gets frustrated when they get frustrated, and it all ends in tears. Often mine, because I have to pick up the pieces after the explosive expeditions. And meanwhile, I have no bike. And Otto likes to ride her scooter to school, which means I trot along behind her carrying her bag, while she spends more time waiting at the crossroads than actually riding her scooter. 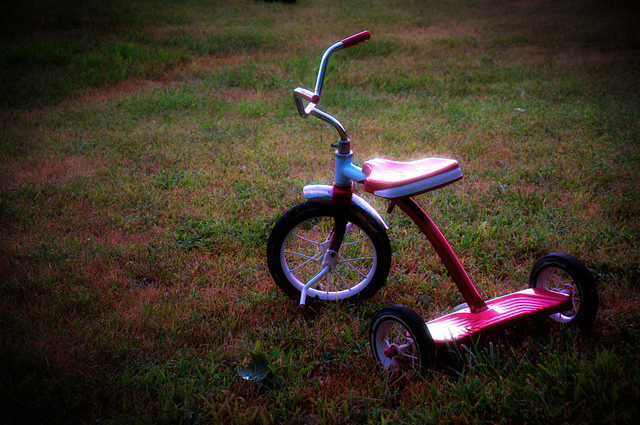 Tricycle image from Flickr: earlycj5. Creative Commons licensing. 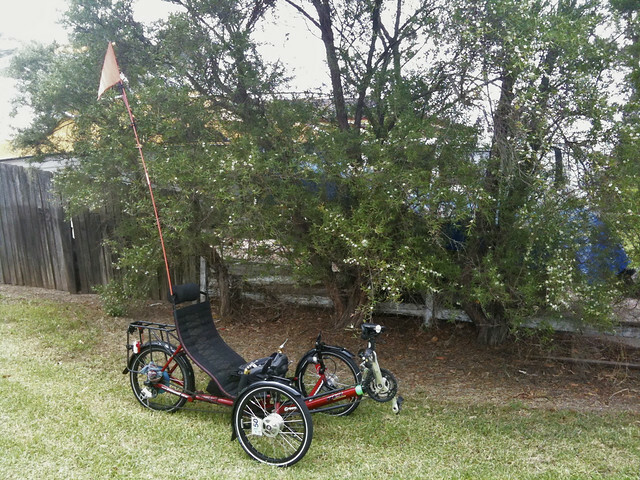 Get a trike, maybe like mine, but there are many others. No danger of falling off.